In "Family", Worf's adoptive father, Sergey Rozhenko beams aboard and is instantly buddies with Chief O'Brien (from his point of view). WORF: They still have not signalled? FEMALE [OC]: Enterprise, this is Earth Station Bobruisk. Two to transport aboard. SERGEY: You look good, son. Put on a little weight, huh? SERGEY: Sure you have. Looks good on you. Still working out with those Holodeck monsters, I bet. SERGEY: Always good to meet another Chief Petty Officer. Sergey Rozhenko, formerly of the USS Intrepid. O'BRIEN: Miles Edward O'Brien, sir. Good to meet you. SERGEY: Don't call me sir. I used to work for a living. 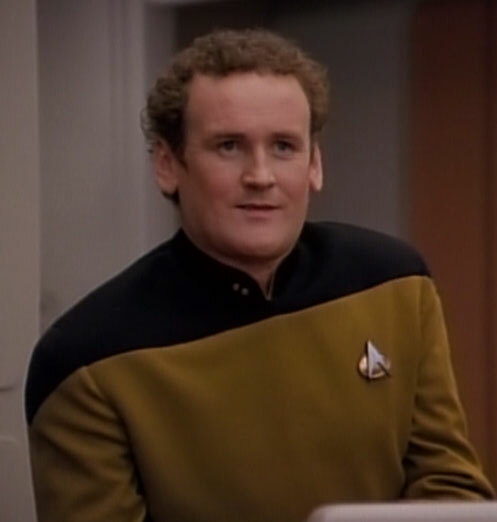 TL;DR: O'Brien's visible rank in "Family" is a continuity error, but he is assumed to have been wearing the proper rank insignia despite what we see on-screen. Your confusion is understandable. 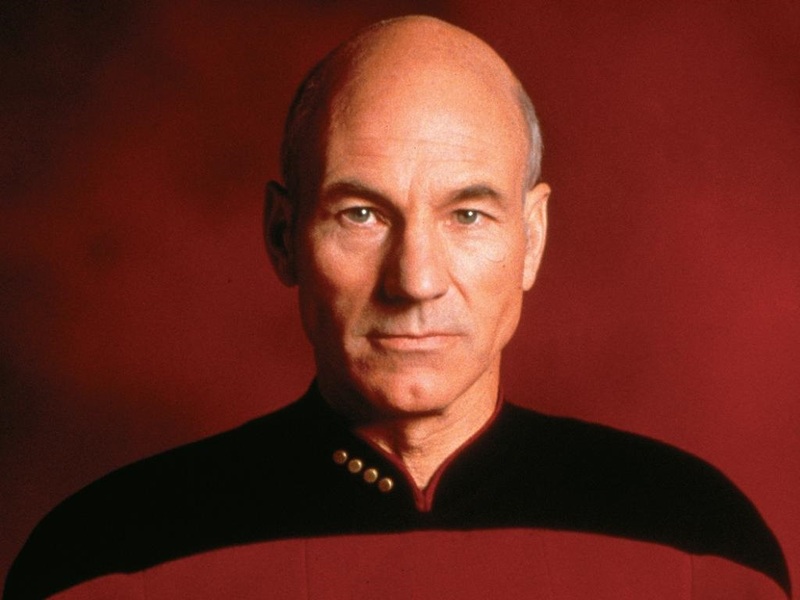 Up to (and including) TNG S04E02 "Family", O'Brien was often seen wearing two solid pips on his collar. However, we know this to be the rank of Lieutenant. But O'Brien is not an officer, and says as much on numerous occasions. But how do we reconcile this with his actual rank, and how did Sergey know his proper rank just by seeing him? So although we see O'Brien wearing Lieutenant pips when he beams the Rozhenkos aboard, he is assumed to be wearing the correct pips despite what we clearly see on-screen. As a former CPO himself, Sergey would of course recognize the rank. Note: Non-commissioned officers below the rank of Petty Officer simply wear no pips. For an example, see Crewman Simon Tarses in TNG S04E21 "The Drumhead". Based on the contextual clues from the script, it seems quite plausible that his father (an unabashed Galaxy starship nerd) has learned the rank and names of every crewman on the Enterprise. WORF: We are in the midst of repair. I will not be able to give you a complete tour. The fact that the guy has a single pip and is operating the transporter is just the icing on the cake. Sergey states he is former Star Fleet Officer, of the CPO NCO rank, a working man. Despite any on screen visual that the audience might not pick up (or visual errors) would be noticed by him, just like any real life military personnel is taught to immediately pick up on, uniform wise. Military personnel are expected to recognize rank and salute within a second if the rank merits it. SERGEY: Can you imagine an old enlisted man like me raising a boy to be an officer? SERGEY: Yes, I want to see everything. The whole ship. At home I have all the specs and diagrams of the Galaxy-class starships. Either due to his own Star Fleet history, or pride for his son's placement, Sergey has studied up on the Galaxy class ships, and likely knows alot about the Enterprise specifically. SERGEY: Okay. Okay. Enough stories. Well, how about giving us a look at the new engine core. I used to be a warp field specialist on the old Excelsior class. If he worked on the USS Intrepid he was part of Starfleet. As such, he recognizes the pips on O'Brien's collar and understands the rank signified. Especially with the phrasing "Another Chief Petty Officer" I would take that to imply he reached the rank of Chief Petty Officer himself before retiring. Not the answer you're looking for? Browse other questions tagged star-trek star-trek-tng star-trek-transporter worf starfleet-rank or ask your own question. How did Worf pay for Yridian's information? How does this restore Kurn, Worf's brother's, honor? Do we know any of the details about Worf's fights with the Kelvans? In which episode did Worf's say his famous phrase about humanity?